Hosta 'Age of Gold' is a new introduction from Hans Hansen of Walters Gardens. 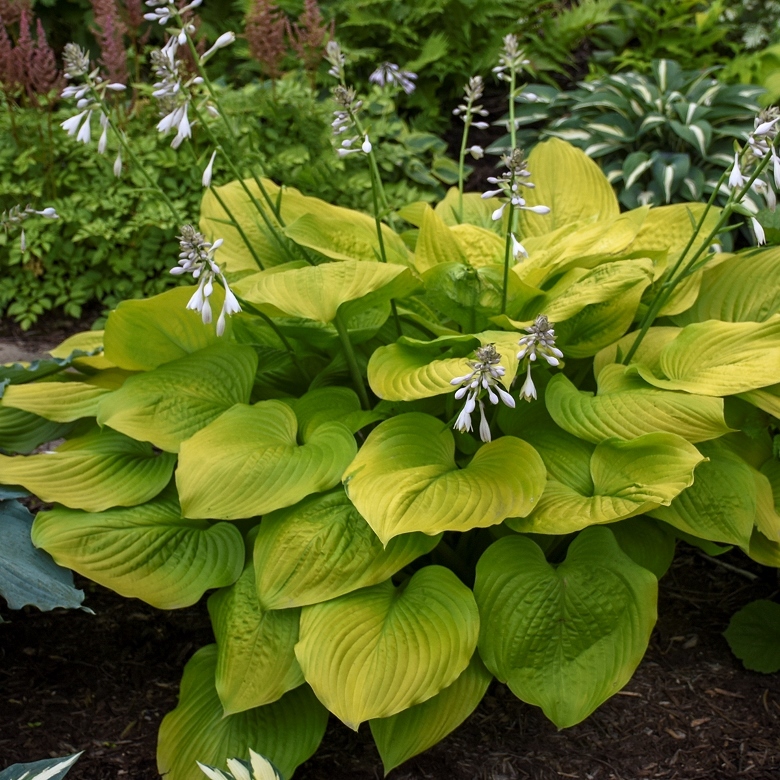 With its upright spreading habit and large smooth leaves this large golden yellow hosta will make a big statement in the shade. In midsummer, near white, tubular flowers appear with a very faint pale lavender central pattern on the interior petals. Plant it in morning sun or filtered shade for the best yellow colour.